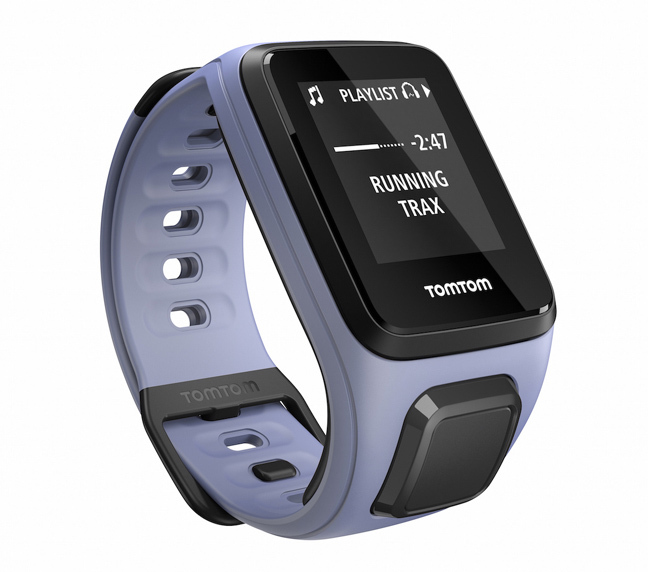 IFA 2015 Last year, TomTom shipped half a million fitness and sports watches, more than any Wear smartwatch vendor can boast – but short of the 10 million fitness bands Fitbit shifted. Today at IFA it launched a new range of sporty watches. The Spark range has more in common with Pebble – low cost, durability, longevity – than the clunky, overspecced Wear or Apple Watch, which run out of power in a day or two. TomTom also launched some headphones to go with the Spark. Like its predecessors, the Spark watches are firmly aimed at fitness and sports buffs, but with music playback a key added feature, meaning you leave your phone at home, or in a locker. The Spark stores up to 3GB of music, if you you choose the music option. Of the six models, all do fitness and have GPS, while some also have a cardio sensor and others have music: one model has them both – making a total of six combinations. The first version (Cardio+Music) will cost £189.99 and ships next month. Surprisingly, smartphone notifications are not yet supported, but will be shortly via a software update. Then they'll be limited to basic message and caller ID notifications. The Spark has a Pebbe-esque 144x168 LCD. It’s pricier than a fitness band, but it does more – like the Pebble – and it just looks and feels right. We were unable to paw a working device, with the mockups on the TomTom stand (still being built) remaining dark.